How to paste in a screenshot? Is there a custom field type I can use that will accept pasted images? Or is there some way to paste them into the comments? I’ve tried Cmd-V (on my Mac) but it doesn’t paste the image from the clipboard. I tried pasting into an Attachment too. You can upload your images using our ‘Attachments’ attribute/custom field, or paste a link to that specific image using ‘Link’ Attribute/Custom field. So, there might be a bug if the Cmd-V (Paste) did not work… Could you try refreshing the page, and tying again? If it still doesn’t work, can you maybe provide us with a screenshot/video, please? An awesome suggestion about putting images to the Comments. I’ll talk this through with our devs and see whether it would be possible in a short matter. I tried it several times, no luck. Tried pasting into Attachments and Comments. To be clear, I’m talking about pasting an actual image on the clipboard from a screenshot, not a link to a file or URL. 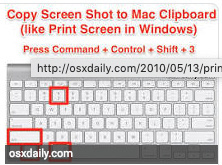 For example, on Mac use Cmd-Ctrl-Shift-4 and select an area to clip. (You’ll hear the “camera click” sound.) Now that image is in the Mac clipboard. You can then paste that into a document, or into slack or trello etc. – in Trello, you paste it into the comment field and it gets processed & saved as an attachment for instance. But nothing happens when you paste into Infinity anywhere. Huh… Thanks for the clear brief. I’ll check this functionality with our team. But have you tried finding the source image file on your Mac, and uploading it to the ‘Attachments’ field? Regarding sharing images via comments: Our team has thought this through, and will probably implement in the following weeks, once we focus more on Comments and Notifications features. I paste screen shots into trello all the time…it’s a big part of my process. I use texting apps and specialized accounting software and often use screen shots to document why were doing what we do and what we actually did. It is a critical part of what we do. Being able to click on an item and hit cntl V is a big deal. Would you mind trying to paste screenshot into the ‘Text’ / ‘Long Text’ Attribute and get back to me with a result? Sorry for the inconvenience caused! I’ll talk this through with the dev team. Sorry to say, I gave it a try and It didn’t seem to work. I tried in the short text, long text, and comments… This would be a wonderful feature! Can you update me on where this is in the road map…You have been addressing bugs and improvements at a fast pace and nearly every time I log in, there is something new. Perhaps you’ve already addressed this? I’ve just talked this through with our team. So actually, pasting a screenshot from the clipboard directly into Infinity would be a slightly more difficult thing to do than we thought. We’re not sure about the actual ETA, but I’m hoping for at least a month (I’m sorry that this took a while). The only way for know is adding that extra step of uploading the image into the ‘Attachments’ attribute, or pasting the image URL into the same attribute. We’ll make it a priority. You can paste screenshot in Attachment input. That c&p feature works great. Yay! Whooo hooo! Thanks so much.